The 2009 Nobel Prize for Physics was announced this week. This year it is being shared by three scientists who have helped to transform communications technology. Charles Kao is honoured for his work on fibre optics. His research in the 1960s developed the thin glass cables which carry data in the form of pulses of light. Fibre optics are the foundation of today’s global telecommunications system and have revolutionised the way we live and work. Willard Boyle and George Smith also share the prize for their work on the charge-coupled device (CCD), which is a kind of light detector. The CCD uses photosensitive cells to capture images. Their invention in the late 1960s laid the foundation of the digital camera revolution which has transformed the way we interact with images. These two developments in the field of communications technology have transformed Geography too. They have challenged traditional geographical concepts such as space, place, connection and boundary. This has opened up new areas for geographical research and education, as these four recent articles in Geography Compass demonstrate. Two articles examine the impact of technological changes on the economy. Moriset and Malecki find that digital technology has altered the spaces in which business operate, making the old theories of agglomeration no longer valid. Looking specifically at the developing world, Graham discovers that there are complex relationships between ICT and economic development. Two other articles focus on the emergence of new digital mapping applications. Haklay, Singleton and Parker give an overview of the geographical applications available on the internet such as Google Maps and also discuss the range of new geographical language that has emerged. 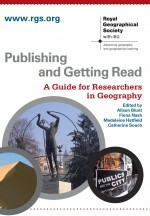 Rakshit and Ogneva-Himmelberger’s article on virtual globes concentrates on how this new way of mapping has been used in geographic education, highlighting that alongside its advantages are certain limitations. Our current era is dominated by information and images. Geographers have three Nobel Prize winning Physicists to thank for changing the way we think about our subject. This entry was posted in Geography Compass and tagged communications technology, digital age, digital mapping, digital photography, Economic Geography, geography, GIS, Global Issues, internet, Nobel Prize, place, space on October 9, 2009 by jclunn.